Educated and trained at some of the world’s top plastic surgery institutions such as UT Southwestern Medical and New York Presbyterian-Cornell. At Princeton Plastic Surgeons, We Specialize in Timeless Beauty. At Princeton Plastic Surgeons, we strive to bring out the best in your natural features. Every cosmetic procedure is performed with extreme attention to detail, advanced surgical techniques, and the highest level of technical skill. Our results speak for themselves – simply beautiful. We are committed to creating among the best results in plastic surgery New Jersey has to offer with some of the most natural-looking enhancements for face, breasts, and body – never overdone. We offer our patients a full array of anti-aging treatments, both surgical and non-surgical. If you are searching for an accomplished plastic surgeon who listens, cares, and delivers the highest quality results, meet with us to discover the premier plastic surgery center in Princeton, NJ, where you can experience results and service beyond the expected. An exclusive, private clinic where we take enhancing face, body, and breast seriously. Explore our gallery of real-world patients and the beautiful surgical outcomes we achieve. 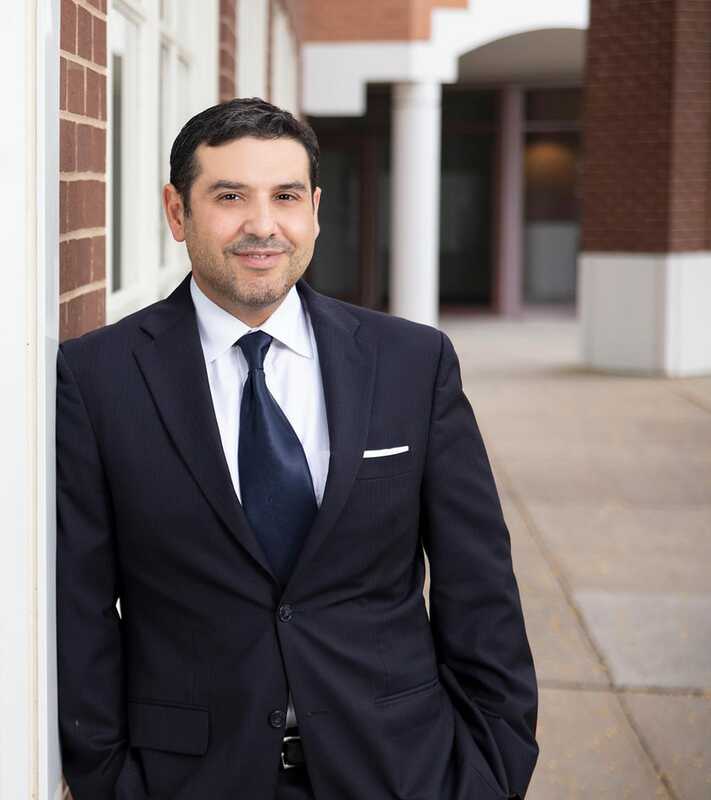 Dr. Adam Hamawy is a talented, board-certified plastic surgeon. His service as an Army combat trauma and reconstructive surgeon brought him an extraordinary scope of real-world experience under the most difficult circumstances. His compassion, care, and focus on excellence in surgery is the driving force behind every procedure he performs. With extensive exposure to complex cosmetic and reconstructive procedures, he has developed surgical techniques that consistently create a natural, fresh look – never overdone. He established Princeton Plastic Surgeons as a state-of-the-art, private boutique clinic where every patient is treated with warmth, compassion, and where the results are beyond the expected. It takes more than an education to become a top-rated plastic surgeon – it requires personal dedication to the art of surgery, natural talent, and a commitment to staying at the leading edge in the latest developments in aesthetic techniques and technology. You are invited to meet Dr. Hamawy to discover modern plastic surgery at its best. Subtle enhancements bring out the best in what is uniquely – you. Dr. Hamawy is a true visionary in the field of modern plastic surgery in Princeton. His approach is to create subtle, carefully-performed changes to enhance face, breast, and body that are geared to help you look and feel simply, incredible. The difference is in our attention to detail, meticulous surgical techniques, and the ability to listen and understand – so your vision becomes a reality. Check out our Video Channel to get in depth information on our procedures. Your breasts are an important part of your figure, your overall look, feminine appeal, and feeling of confidence in your appearance. We are here to assist women to have the breasts that create an attractive, appealing figure, balanced and in harmony with your body. At Princeton Plastic Surgeons, we perform a range of breast procedures to empower, enhance, and restore. Your body is a temple – and we treat it that way. We believe there is no reason to live with a condition that limits the joy in your life experience. You have the right to the body you want, and we can help. What is true beauty? Our approach is to create subtle changes that will bring out the best in your natural, timeless beauty. Men want subtle changes, and there are few more experienced male plastic surgeons than Dr. Hamawy. Men place their trust in his subtle, conservative techniques and his reputation for excellence in performing a range of procedures for men, both surgical and non-surgical. Discover a clinic that offers the best in non-surgical cosmetic treatments. We offer a wide array of the best of what modern aesthetics has to offer to help you look and feel your best. Self-care matters. Experience the difference at our private, luxury clinic where we offer facial enhancements, exceptionally effective anti-aging treatments, and body sculpting – it is all part of what we do. A full head of hair is not only cosmetically pleasing, it also increases self-esteem and influences how others perceive your appearance. Premature hair loss at any age can have a negative impact on your self-confidence and image, but at Princeton Plastic Surgeons, our NeoGraft hair restoration system will restore hair growth with less downtime and no staples or stitches. If you are looking for an extremely professional, gifted surgeon – look no further than Dr. Hamawy. He knows how to enhance your natural beauty without looking like you’ve had “work done.” He comes with my highest recommendation. Doctor Hamawy is a reliable person and his treatment was perfect for me. The staff at the clinic is friendly. Always a pleasure coming to this office!! So clean and beautiful and the staff is amazing. Dr. Hamawy is professional, knowledgeable, and truly knows what he’s doing. Always an excellent experience. I wouldn’t recommend anyone else!! 10 stars!! I felt super comfortable with him even during the uncomfortable moments. I’ve been to other doctors for a breast reduction consultation who made me feel uncomfortable. I would recommend him to anyone ! Great experience. Dr. Hamawy explained the procedure and answered all of my questions. We bring your aesthetic vision into reality – with subtle, beautiful, natural results. Copyright © 2018 Princeton Plastic Surgeons. All Rights Reserved.